For the perfect bag fit for your needs, look no further than the See by Chloe™ Hana Small Suede & Leather Crossbody. Medium shoulder bag made of pebbled top grain cowhide leather and rich, suede leather. 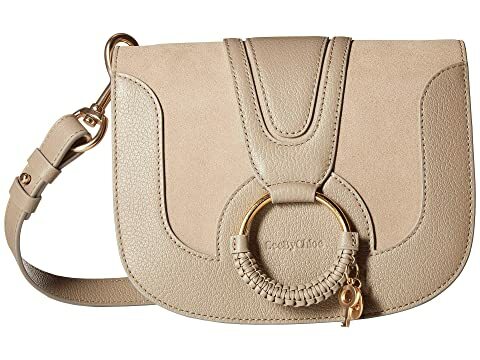 We can't currently find any similar items for the Hana Small Suede & Leather Crossbody by See by Chloe. Sorry! This is a very cute bag with one big problem in my opinion. The strap is not adjustable and it's pretty short. I had it on with just a top and it hit me in a weird place. With a sweater or jacket or would have been even more unacceptable.